With many people no longer carrying cash, allowing them to make payments in the way they choose is becoming increasingly important. 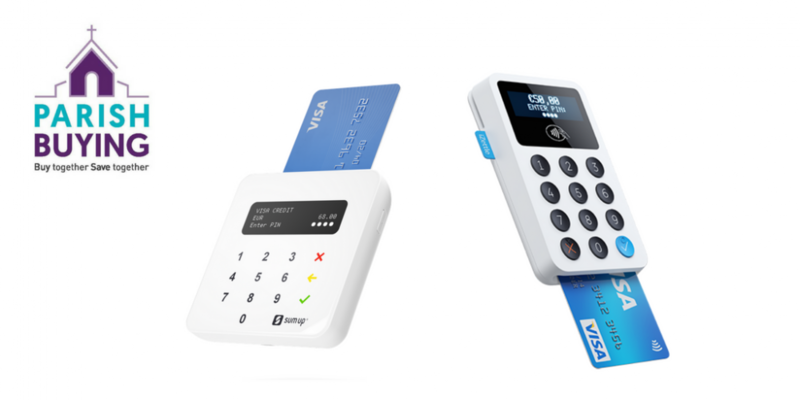 One solution is a card reader which works alongside a smart phone or tablet and is very inexpensive to buy (they cost less than most kettles). Following a national trial, of which a couple of parishes within the Diocese were involved, the Parish Buying service now has contracts with two companies, SumUp and iZettle, to allow parishes to buy card readers at a discounted rate. Church of England parishes can buy card readers at a discount through the Parish Buying website and use them with specially negotiated low transaction rates. Any parishes considering buying a card reader for their church should register for free with the Parish Buying service. Once registered they will be able to view all the discounted pricing information, along with FAQs and setup information.